Wondering if you should get into Snapchat? Is podcasting something you’re considering? To discover more, I interview Tom Webster from Edison Research about his latest study on Snapchat and podcasting adoption. In this episode I interview Tom Webster, vice president of strategy and marketing at Edison Research and co-host of the Marketing Companion podcast. Tom is a specialist in consumer behavior and media consumption. Tom will explore his brand-new research from The Infinite Dial, focused on Snapchat and podcast adoption. 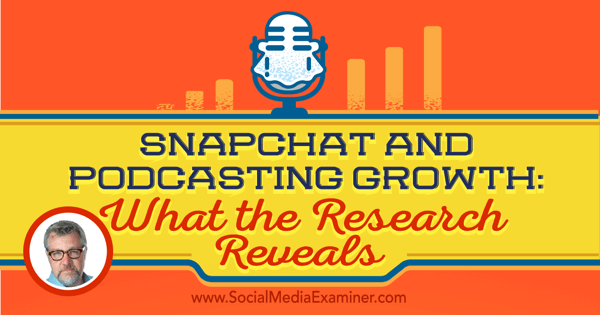 You’ll discover reasons to embrace Snapchat and podcasting for your business. 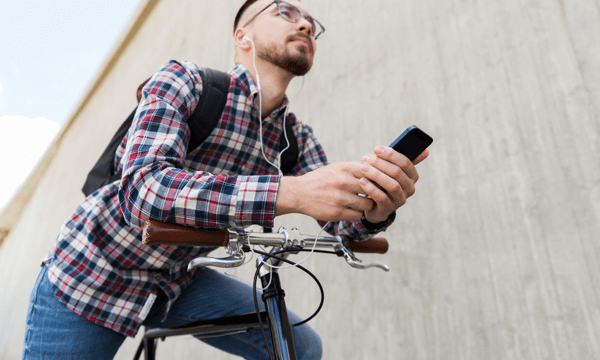 Listen as Tom Webster shares what marketers need to know about Snapchat and podcasting, and what the research reveals. Research from The Infinite Dial series dates back to 1998, according to Tom, and it’s the longest-running study on digital habits, behaviors, and consumption. They have trending graphs for areas, such as Internet radio, that go back to 1998. Plus, they’ve measured all kinds of behaviors and patterns in relation to consumption of audio, video, social, and mobile. Tom has been involved with the study and has been the voice of the studies on webinars since 2004. The Infinite Dial surveys have been around since 1998. When the series started in 1998, it was focused more on digital audio. While today’s brands and streaming audio like Pandora and Spotify weren’t around back then, there were plenty of others. For example there was Broadcast.com, which Mark Cuban sold to Yahoo, NetRadio, Spinner, AOL Radio, and lots of other fledgling brands, Tom explains. The survey was a means to track them and put them in their place in the universe. As behaviors started to migrate to various media (as opposed to the text-driven medium that it had been previously), The Infinite Dial started tracking that too. Over the years, they added podcasting, social media, and so on. Essentially, if people do it online, The Infinite Dial is interested in measuring how it’s consumed. The Infinite Dial’s goal was always to create the survey of record in the various fields covered, so they spend nearly six figures in hard costs on mobile and landline telephone sampling to make a study that’s random, representative, and projectable to the United States population. Tom loves coming out with new facts every year that corroborate what he sees people do online. Listen to the show to learn more about the survey sampling and why they survey via telephone. One of the things Tom loves about doing survey research is that although it reflects the current state of America, it typically lags behind what the digerati think. It can lag by quite a bit, he says, but if it’s a real thing, it eventually gets there. Survey research takes time, but gets there in the end. Image: Shutterstock. The Infinite Dial added podcast tracking back in 2007. Two years ago, before Serial popularized podcasting, research showed that 15% of Americans 12+ listened to a podcast in the past 12 months. While that’s a huge number (tens and tens of millions of Americans), it had been growing steadily, but not exponentially. Podcasting inched up from 9% in 2008 to 11% to 2009. And to 12% in 2010. 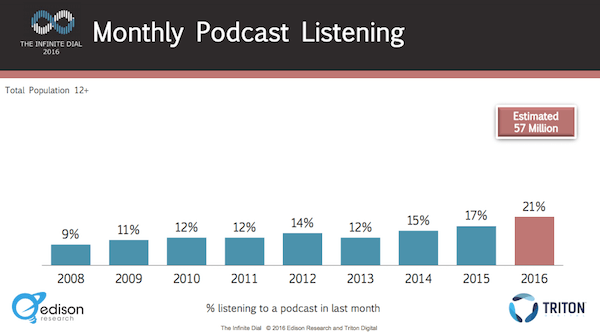 For a short time, podcasting plateaued before jumping to 15% in 2014. After Serial came out, there was enormous advertiser, brand, and insider interest in podcasting. Listenership went from 15% in 2014 to 17% in 2015. In 2016, podcast listening has surpassed 21% already. That’s a 24% increase year over year in the percentage of Americans who listened to a podcast. Podcast listening has been slowly creeping up and made its most significant jump last year. The Serial effect didn’t happen immediately, Tom continues, although it made people a lot more aware of the on-demand content out there. As mainstream Americans discovered it in their own time, there was a surge in consumption. While Tom doesn’t think the growth in podcast listening is due to Serial, he thinks Serial had a role in it. Due to the Serial phenomenon, a lot of people wrote about podcasting in mainstream publications like the New York Times and the Wall Street Journal. Podcasting as a medium became known. Tom goes on to say that the other thing that’s happened, especially since Serial, is there’s a lot more mainstream content available on the medium. For instance, Podcast One has shows from people like Shaquille O’Neal. You couldn’t have imagined him doing a podcast five years ago, Tom says. Shaq has a tremendous following, so he can promote the podcast on his social networks. Plus, it becomes a more intimate way for his fans to connect with him. 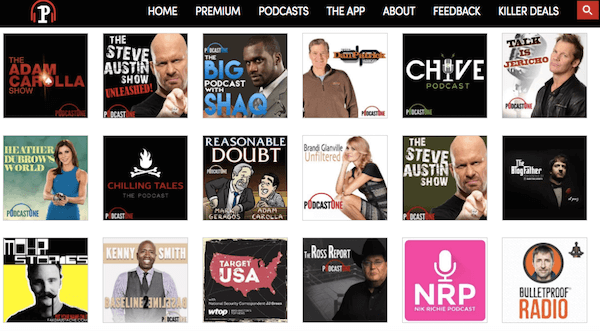 Podcast One offers a variety of on-demand podcast content. Tom believes podcasting really rewards original content. A lot of public media is dominating the charts in podcasts. People like Alex Blumberg with the StartUp podcast bring the journalistic style of radio content over to podcasting. Due to music licensing and royalty fees, podcasts are primarily spoken-word content. Tom says from their Share of Ear research series, about 20% of content consumed via audio is spoken word. The other 80% is music. So only one-fifth of the available audio hours are devoted to spoken word. People are interested in listening to news, perspectives, current events, comedy, and sports. Those have been the early wins for podcasting. In the early days of podcasting, there were a lot of tech podcasts. That represented the available audience, which largely was people who understood how to download a piece of content, sync it or subscribe to it, and transfer it over to their iPod. As barriers, or friction, to podcast consumption lessens, more mainstream content avenues are available to people, which is why there are podcasts from people like Shaquille O’Neal and Nicole Polizzi (also known as Snooki). When Nicole tweets her show, she has a potential audience of 7 million on social media who click on the link and listen to it. Listen to the show to hear more about why terrestrial radio needs to invest in original content. Tom says when The Infinite Dial asked people how they listened to podcasts the most, two-thirds reported they listen on a mobile device. The rise of the smartphone (and the ability to always have broadband and a super-computer in your pocket) has allowed people to listen to content in multiple environments, context, and at times of days that were previously unavailable. Listeners like to take podcasts with them. Image: Shutterstock. One of the things shown in the Share of Ear series is the average American listens to about 4 hours of audio daily. In contrast, the podcast listener listens to 6 hours daily. People listen to a lot more audio because they’re able to take interesting programming with them in their cars, onto public transportation, to the gym, on walks, doing gardening, etc. Since just a small percentage of listeners have in-dash entertainment systems, they find other ways to listen to podcasts in their car. There’s a cassette tape adapter, a USB plug, Bluetooth, or an audio patch cord. People are overcoming friction to listen to audio in their cars, which Tom says is a clear sign of pent-up demand. Listen to the show to learn what percentage of people listen to audio in the car, and why that number is interesting. Tom has believes the name “podcast” is what holds it back from a larger audience. Audible, the audio book platform, recently announced they’re getting into podcasts. The channels page doesn’t use the word “podcast” anywhere. It’s all about the show. Snapchat, which The Infinite Dial has been monitoring since 2013, has been in four yearly studies. When they first started tracking Snapchat, 3% of Americans 12+ used the platform, which is still millions of people. The next year, usage jumped to 14%, then to 17%. This year usage jumped to 23%. That’s well over 60 million Americans. For Snapchat to go from 3% to 23% in four years is incredible growth. 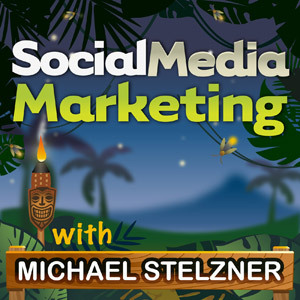 Listen to the show to learn which other social media networks had fast growth. Ever since The Infinite Dial has tracked Facebook, it has been the number-one platform every year, including 2016. Tom explains that 64% of all Americans 12+ say they use Facebook. That is almost two-thirds of Americans using a single brand. Mark Zuckerberg’s (and Facebook’s) smartest purchase was the number-two social network Instagram, which is used by 29% of Americans 12+. By not being able to buy Snapchat, Zuckerberg missed not just the raw numbers, but what those numbers represent: teens and young adults. Facebook is the number-one social network, used by 64% of Americans 12+. Instagram is second at 29% and Snapchat is fourth at 23%. Tom shares one of the biggest findings from The Infinite Dial. He says when you look at the total population, Snapchat is the 4th-largest social platform. However, when you look at 12- to 24-year-olds, Snapchat is the #1 social platform. This is the first time in The Infinite Dial’s history that Facebook was not #1 in any demographic. 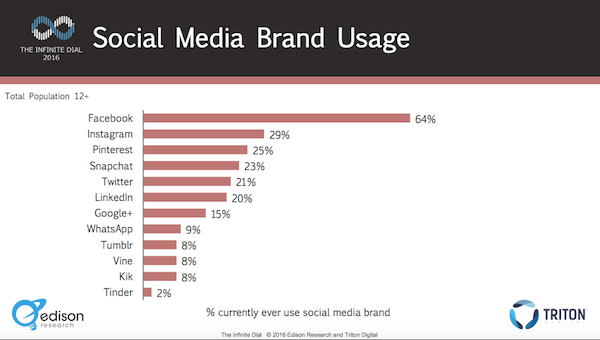 Snapchat is used by 72% of 12-24s, whereas Facebook is used by 68%. “Snapchat’s penetration with young adults is bazonkers,” Tom says. Going forward, what Facebook missed by not buying Snapchat was a targeted audience that they may have difficulty reaching. As you look at how 12- to 24-year-olds use social media, those patterns are changing. They use Snapchat a lot more and that’s taking time away from their usage of Facebook. Snapchat is used by 72% of Americans 12-24, as opposed to Facebook’s 68%. Tom says they don’t just ask people which platforms they use, they also ask which social media brand they use the most often. In 2015, 65% of social media users (which is well over 70% of the country) said they use Facebook most often. This year it’s 61%. Although it’s a decrease of 4%, it’s still a large number. 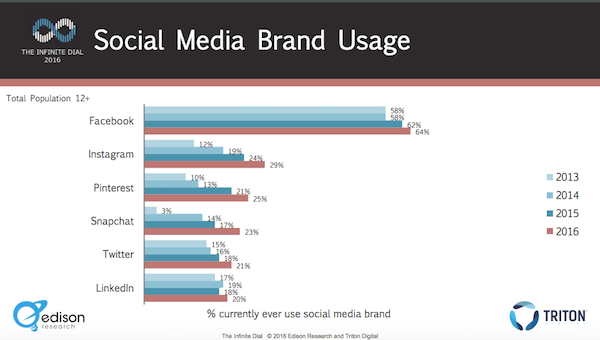 Snapchat is the only thing that has shifted, increasing from 4% who said they use it most often to 8%. 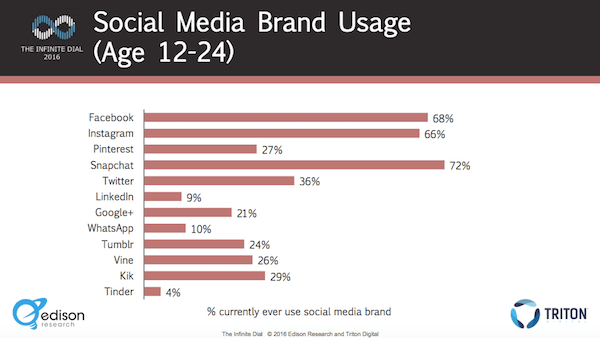 Even though Facebook continues to have a majority, 12-24s who say Facebook is what they use most often is 32%. Plus, Snapchat grew from 15% to 26%. By contrast, Twitter, Pinterest, and LinkedIn are about the same year over year. 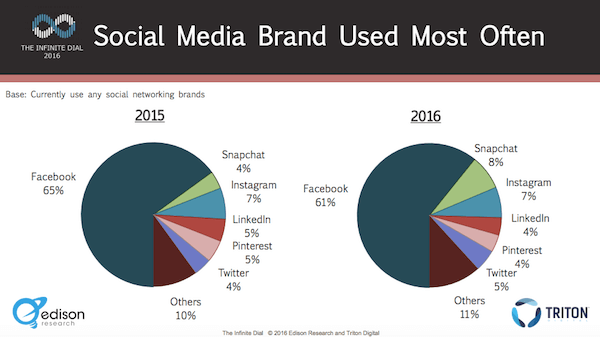 In the last year, Snapchat doubled the percentage of people who use the platform most often. YouTube, especially with young Americans, continues to go through the roof, Tom adds. In fact it’s currently the leading platform for music discovery, against AM/FM radio, Pandora, and Spotify. Listen to the show to learn what the data confirms. The culture around ads has changed, too, Tom explains. Snapchat is not an ad-friendly medium. Plus, podcasting is an ad environment where shows may have two or three sponsorships. Internet radio listeners on services such as Pandora hear only three or four spots in an hour. We make the ad bargain with TV, radio, and print (to some extent). The ad bargain is being shaken to its core by all of this various “intimate” media. They’re not great environments for lots of commercials; however, they are great environments for sparse, targeted messages, which could end up being enormously powerful. As things like the penetration of Pandora, podcasting, and Snapchat proliferate, the ad bargain is not such a bargain anymore. 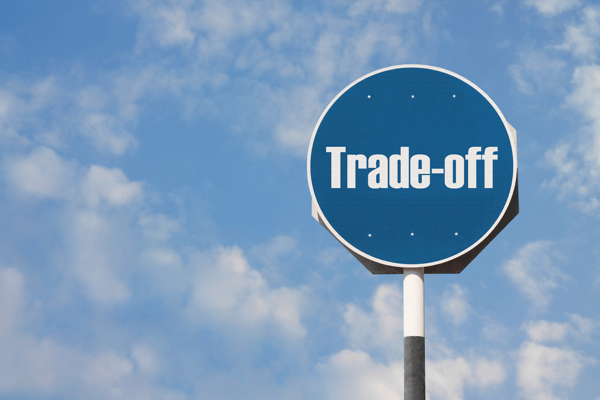 That means people who make their livelihood on the ad bargain have to reevaluate the trade-off. That’s a profound implication. The ad bargain has changed, so marketers need to rethink how they approach advertising. Image: Shutterstock. Is it too late for people to get in on these things? Tom thinks there’s an incredibly long road ahead of us. For podcasting in particular, the opportunity for brands is to look at the audience podcasts aren’t reaching. While podcast reach is significant, it’s a portion of the American public that’s a bit more affluent, ahead of the curve, and more educated. However, the percentage of Americans who like quality shows and enjoy good programming is far bigger. The opportunity for brands is to do the next thing. They need to do the thing that gives them access to greater portions of the population, to put out great programming, and to go back to a very old form of advertising. There’s plenty of research that shows a halo effect for companies that support programming. It’s the model that public radio has had for years, Tom explains. That model is open and available to everybody. Listen to the show to hear my non-scientific analysis of Snapchat. 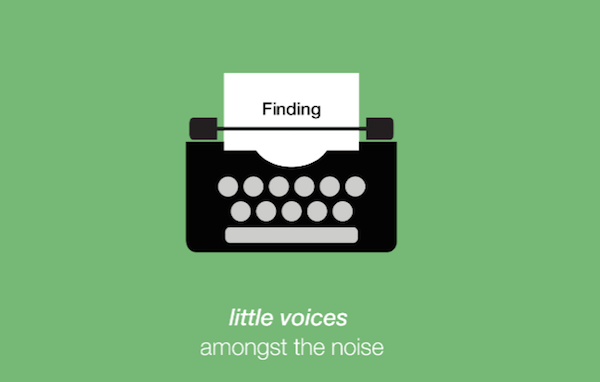 Little Voices is an iOS app for Twitter. Log in with your Twitter account and it takes your Twitter stream and removes all tweets that have images, links, or replies from other users. You only see what’s left, which is the tweets that contain only text. Little voices removes the clutter from tweets to better allow for conversations. Little Voices is a great way to cut through the visual noise of Twitter and get right to who’s saying what in text, so you can start a conversation. When you go into the app, the little green typewriter shows up on the right, and there’s literally one stream that strips out anything that isn’t text. Click the typewriter, and you can create a tweet, but only in text. Check it out in the Apple app store. Listen to the show to learn more and let us know how Little Voices works for you. As marketers, we often work alone and need a place to interact with other people who “speak our language.” The Social Media Marketing Society provides a place to connect with other marketers just like you. With live expert training, Social Media Examiner staff, and thousands of fellow marketers inside the Society, you’ll find answers to all of your social media questions. 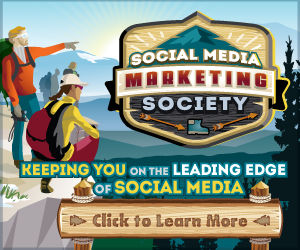 The Society is the exclusive membership community from Social Media Examiner, created to bring you the training you need to implement the latest social media marketing tactics. Thousands of social media marketers from around the world have joined the Society to benefit from ongoing, step-by-step training led by industry experts and to participate in our active community. Join a network of other marketers who can provide the answers you need, anytime you need them. Join the Social Media Marketing Society. One week only: Save $200 on your annual Society membership! This special offer ends Friday, May 20, 2016. Click here to discover more about the Social Media Marketing Society. Learn more about Tom on his website and follow @Webby2001 on Twitter. Explore Edison Research and The Infinite Dial. Read The Infinite Dial research. Listen to The Marketing Companion Podcast. Check out Pandora and Spotify. Learn more about early Internet radio: Broadcast.com, NetRadio, Spinner, and AOL Radio. Listen to the Serial podcast. Read articles about podcasting from the New York Times and the Wall Street Journal. Explore Podcast One and listen to shows from Shaquille O’Neal and Nicole Polizzi, as well as the StartUp podcast. Learn about Share of Ear. Check out TiVo and Audible Channels. What do you think? What are your thoughts on Snapchat and podcasting? Please leave your comments below. 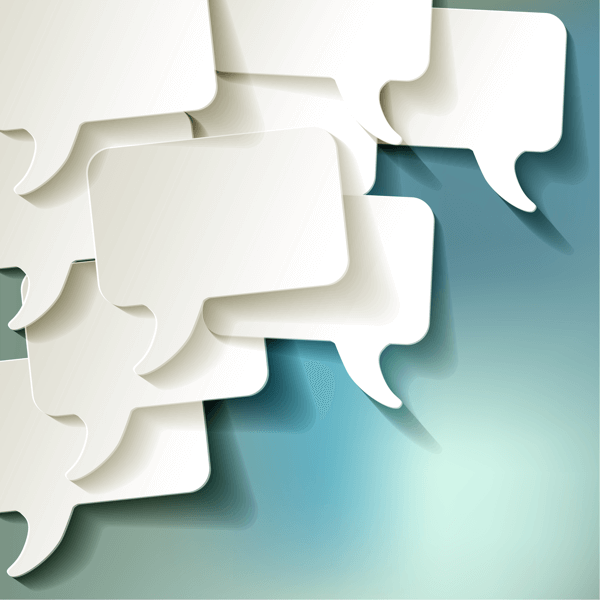 Comment photo, Podcast Listener photo and Trade Off photo from Shutterstock. 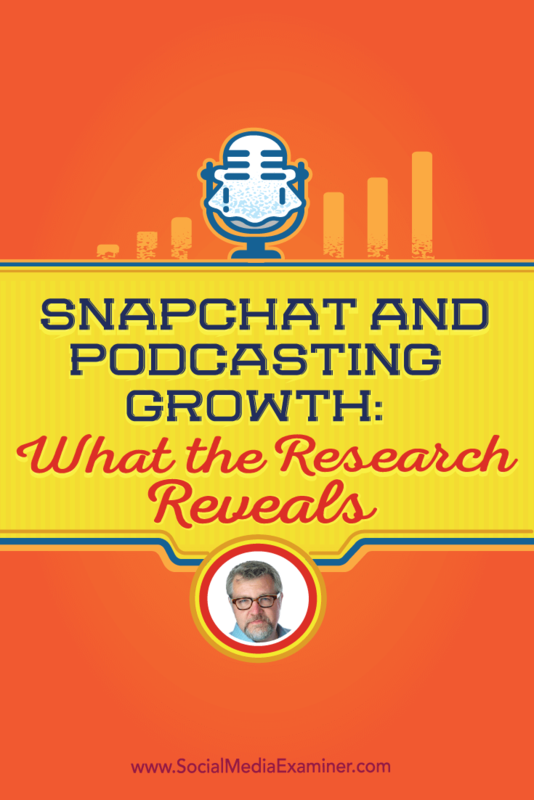 Tom Webster talks with Michael Stelzner about what research reveals about the adoption of Snapchat and podcasting.